Fox announced today that they will not be ordering more episodes of “King of the Hill,” and that the last of the April’s 13 episode order are wrapping production. 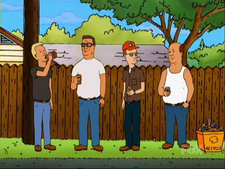 Luckily for fans, there are many King of the Hill episodes in the can that haven’t aired, which Fox plans to air in the 2009-10 season, essentially the 14th and final season of the Mike Judge animated show. King of the Hill has faced possible cancellation many times before. Unfortunately, this time it’s for real. Mike Judge, the show’s creator, had already moved on from King of the Hill and went to work on a new animated show for ABC titled “The Goode Family,” which is scheduled to premiere in midseason. However, Mike Judge continued to voice the Hank Hill character. The Simpsons is the longest-running US prime-time comedy series in history and is tied with Gunsmoke, which ran 20 years, as the longest-running scripted series, drama or comedy. Qubo Channel has announced their lineup of all-new TV shows for kids and an expanded kid-friendly schedule. Starting Monday, November 3rd, the following shows will premiere: SAMMY’S STORY SHOP, MAISY, GOFRETTE and ADVENTURES FROM THE BOOK OF VIRTUES, a new season of DRAGON, as well as new episodes of many other popular Qubo shows. Qubo Channel will also roll-out a new schedule that serves different age groups at different times of the day. Every day from 5 a.m.-1 p.m., Qubo Channel will air programming for preschool age children while the shows airing from 1 p.m.-12 a.m. are geared more towards children ages 6 and up. In addition, Qubo Channel will also debut premiere episodes of 3-2-1 PENGUNS, BABAR, MISS BG, MY FRIEND RABBIT, RUPERT, THEORDORE TUGBOAT and THE ZULA PATROL. DRAGON, 3-2-1 PENGUINS! and JANE AND THE DRAGON are moving from their weekend-only time-slots to become daily series. 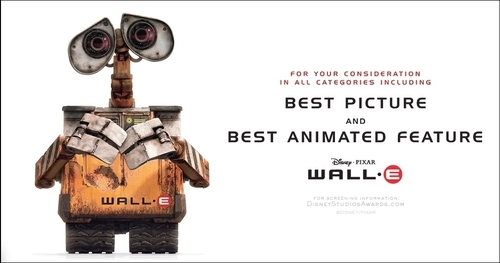 No animated movie has ever won the Best Picture Oscar, but that’s not stopping Disney from pushing Pixar’s Wall-E for consideration. A Best Picture win would be an amazing, groundbreaking accomplishment for Pixar. Below is an ad that is currently circulating in various publications. Cake Distribution has sold Total Drama Action, the spin-off to Total Drama Island, to Cartoon Network. Total Drama Island has been a huge hit on Cartoon Network’s Thursday night line-up and has developed a huge following both on-air and online. Viewers on Total Drama Island’s Web site have created more than two million unique avatars within three months of the series premiere. Total Drama Action picks up where Total Drama Island left off and takes 15 of the original contestants to a new location — a deserted film studio lot. New to the concept will be a number of talk-show episodes where former contestants and fans comment on the competition. Total Drama Action is currently in production and premieres in 2009. 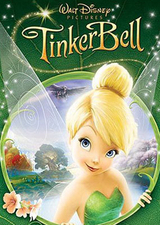 Disney Online is celebrating the release of Tinker Bell on Blu-ray and DVD by previewing the first six minutes of the film exclusively at www.disney.com/tinkerbell on October 27 and 28. Tinker Bell is set for release on October 28th. The preview will be available to view on Disney.com’s newly launched full-screen video player. Additionally, Disney Online’s latest virtual world, Disney Fairies PIXIE HOLLOW (www.PixieHollow.com) is marking Tinker Bell’s arrival with a special in-game event. 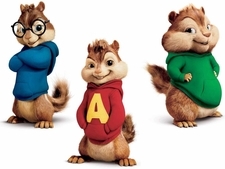 Twentieth Century Fox has moved the CGI-live action hybrid Alvin and the Chipmunks: The Squeakuel directly against Disney’s The Princess and the Frog on Christmas Day 2009. 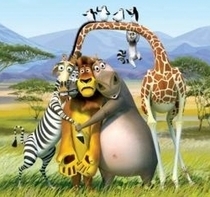 Fox’s other animated movie, Ice Age: Dawn of the Dinosaurs will stay in its Summer 2009 release date. In other news, Sony Pictures will release Planet 51 in November 2009. The movie features the voice of Dwayne Johnson. Previously Warner Bros. had scheduled the movie for Summer 2009 but let the film go after producers wanted a November release. Academy Award winner this year for Best Animated Short Film, Peter & the Wolf, will make its DVD debut on December 9th. And if you’re a long time reader, you’ll remember that The Animation Blog interviewed the producer of the movie, where he revealed that the DVD would be out later this year. If you haven’t already, be sure to read the interview. When Harold Kelp gets his hand on his grandfatherâ€™s â€œcoolâ€ elixir, the effects arenâ€™t exactly what he had planned. While Harold now embodies the chill, confident personality he desired, the elixir has also added an unwelcome air of conceited arrogance. Like his grandfather Julius, he must learn along the way to find true happiness in himself and not rely on magic elixirs to do the trick. 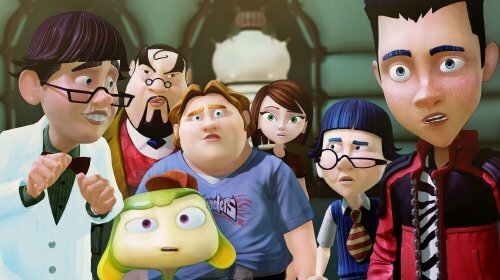 The DVD, starring Drake Bell as young Harold and Jerry Lewis as Julius Kelp, will be in stores on November 25, 2008. Grammy-award winning will.i.am, frontman and producer of The Black Eyed Peas, is teaming with Oscar-winning composer Hans Zimmer for DreamWorks Animation’s upcoming Madagascar: Escape 2 Africa. In addition to completing his first full-length motion picture soundtrack album collaboration, penning four brand new original songs (and the instrumental score), will.i.am will also be doing double-duty as the voice of a new character, Moto Moto. Madagascar: Escape 2 Africa, the album, is set for a November 4 release in the physical and digital marketplace on the will.i.am Music Group/Interscope label. The movie, a Paramount Pictures release, opens nationwide on Friday, November 7. Dead Space Downfall: Widgets, Cheats and Pics. 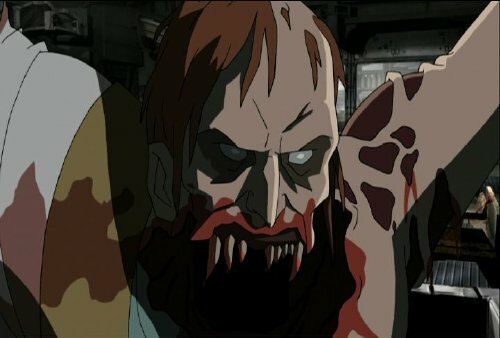 Anchor Bayâ€™s upcoming animated horror movie Dead Space: Downfall, the prequel to the videogame, is heading to DVD on October 28th and to celebrate the release we’ve got 12 new images, three widgets and a hint on how to find hidden cheats in the movie. 10/21/2008 | DVD/Blu-ray | Comments Off on Dead Space Downfall: Widgets, Cheats and Pics. Shaun the Sheep is heading to DVD for the first time on November 11th with the release of “Shaun the Sheep: Off the Baa!” This all-new disc includes eight episodes from the popular show, which airs on the Disney Channel in the US and is one of the top five shorts on the channel. DVD bonus features include: Meet the Animals and a sneak peak at the “Shaun the Sheep” and â€œWallace & Gromitâ€™s Grand Adventuresâ€ videogames.